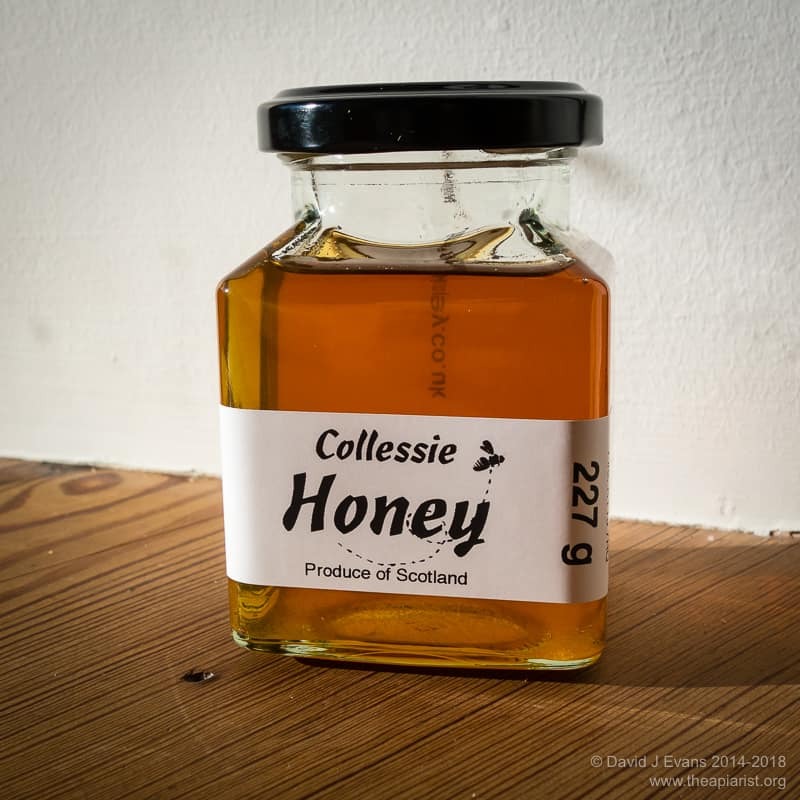 My honey is sold locally, available for collection or can be sent relatively inexpensively by post. Honey is extracted mid/late summer, cold-filtered and, after settling, bottled in 1 lb. jars. The honey I produce is only warmed enough to get it from storage into jars so preserving the full flavour and texture of the product. Each jar carries a label clearly indicating the source (Collessie in Fife), net weight, a batch number and best before date (usually 3+ years; honey can be stored almost indefinitely). All labels are removable. Instructions for use: Apply generously. Enjoy. 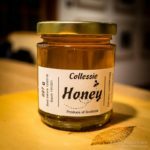 Beautiful clear amber or golden honey, easy to spread, excellent for sweetening tea, replacing sugar when baking, or mixing with lemon and hot water to make a mid-winter tonic. You can use a honey dipper with clear honey. Being a natural product the flavour and clarity can vary and is very dependent on the range of nectars collected by the bees. 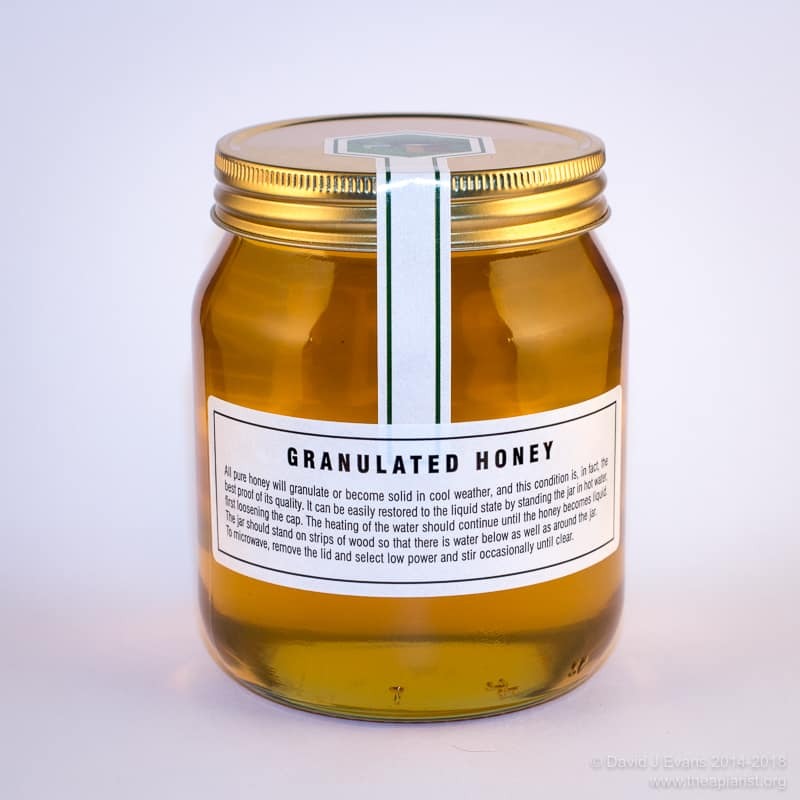 If stored for a long time this honey will granulate but can be returned to the runny state by gentle warming. 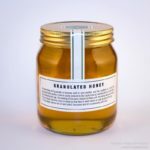 I mix fine-grained granulated honey with clear honey to make soft set honey. This is sometimes incorrectly called creamed honey (but contains no cream) reflecting the extensive mixing that occurs during preparation. Soft set honey keeps beautifully, granulating further only very slowly. When spooned from the jar it does not ‘drip’ from the teaspoon. It is ideal in porridge, or spread thickly on toast or crumpets. Being 100% natural, the flavour and level of granulation are dependent on the range of nectars collected by the bees from the local hedgerows and fields. High quality honey will always eventually granulate. 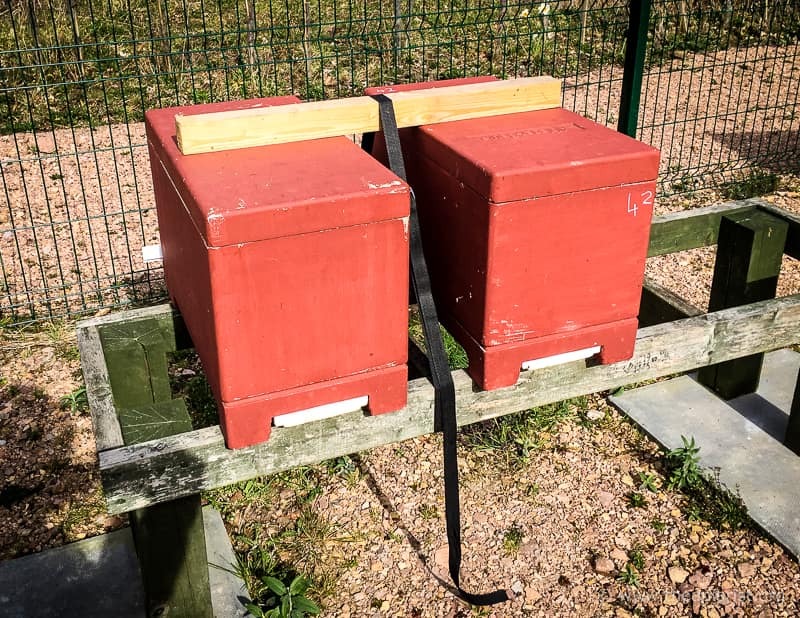 The speed at which this happens depends upon the sugar content of the nectar stored by the bees and the temperature at which the honey is stored. Gently heating granulated honey returns it to a liquid state. 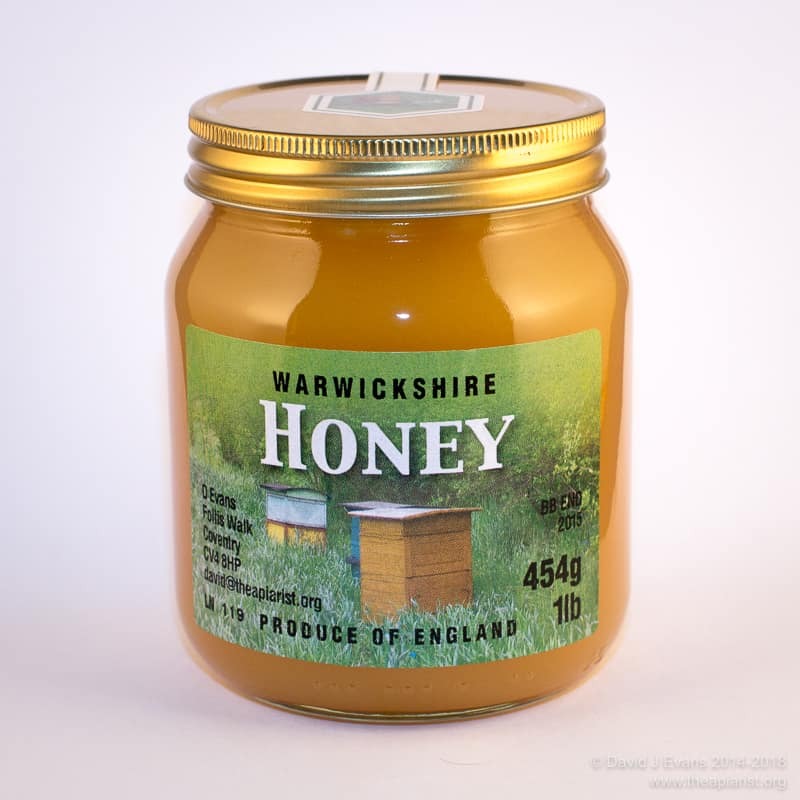 Note that honey purchased from many supermarkets will not granulate because it has been pasteurised during preparation by heating to about 65ºC. Although this ensures a completely uniform product, many consider that this excessive heating also destroys the unique flavours that characterise different honeys.